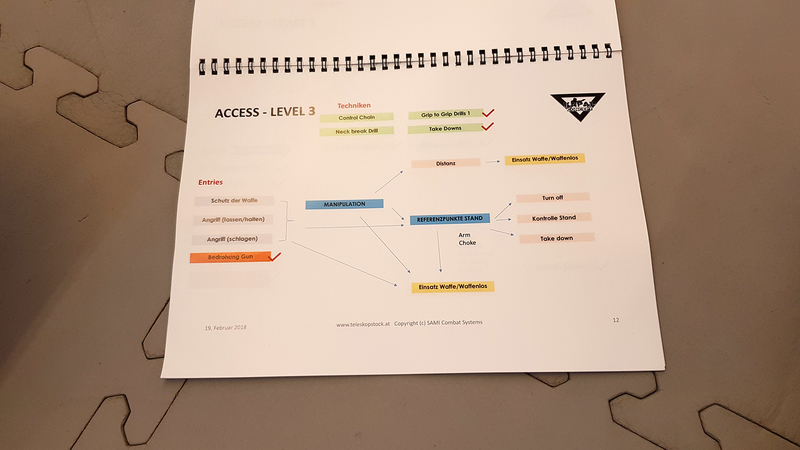 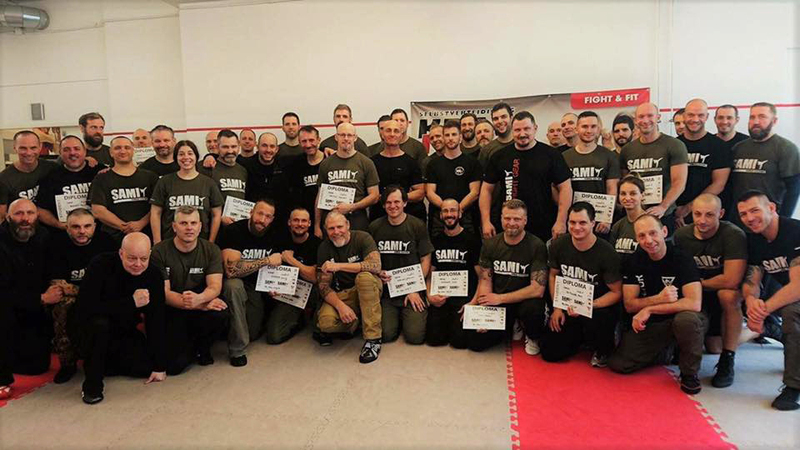 55 students from the Czech Republic, Germany, Switzerland, the United Kingdom, Belgium, Hungary and Austria joined Peter Weckauf, Anton Dyk and Flo Veigl for a four day instructor seminar in Kapap Concept at the headquarters in Vienna. 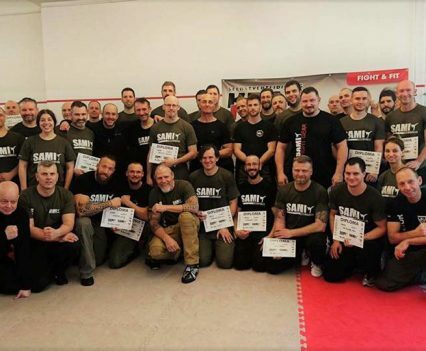 The very motivated group trained in four levels and covered gun protection, gun handling, defense against knife attacks, teamwork, rifle protection, unarmed applications, access techniques, fixation and control and EBC. 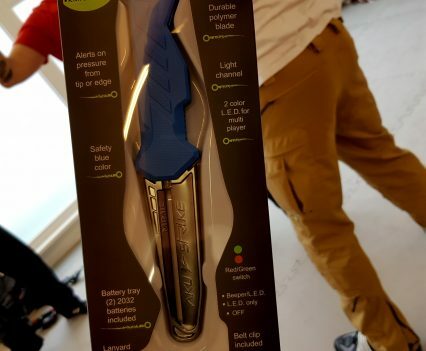 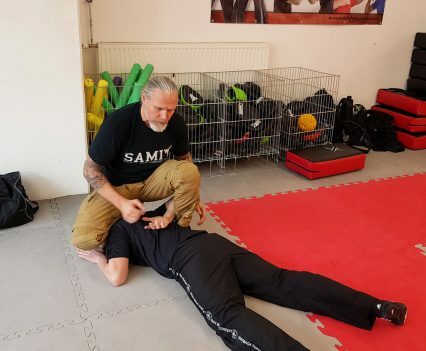 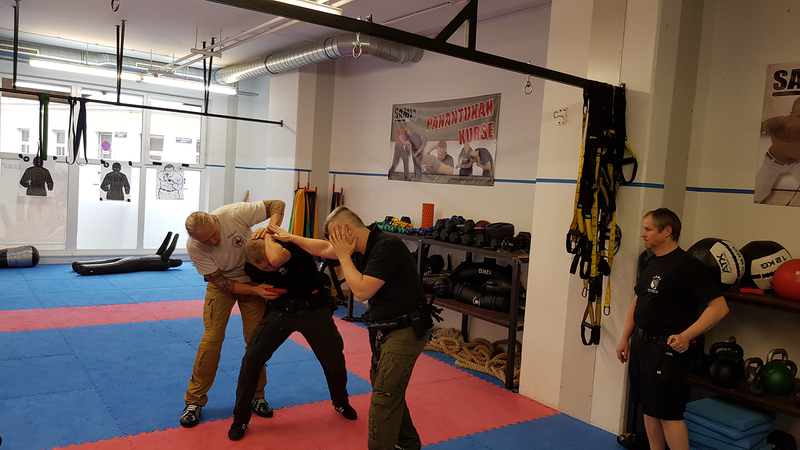 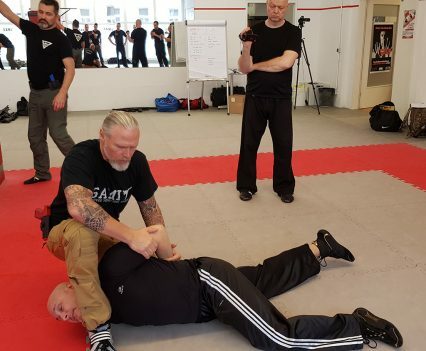 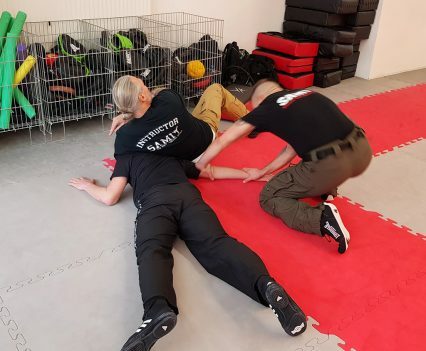 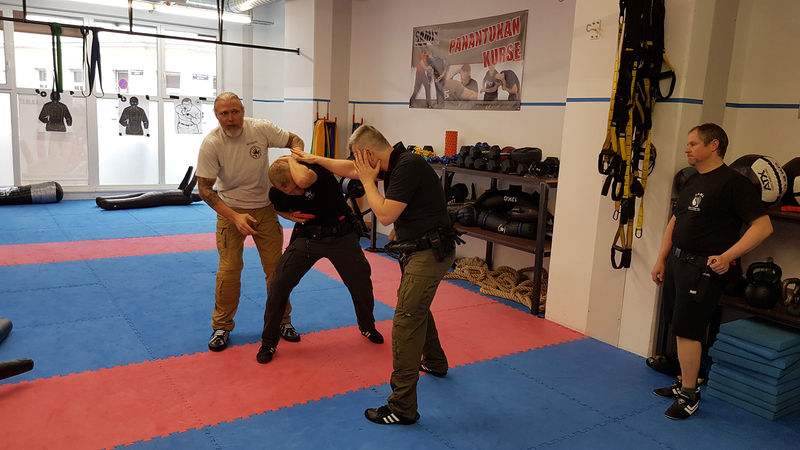 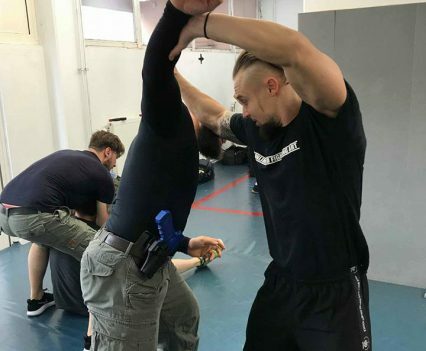 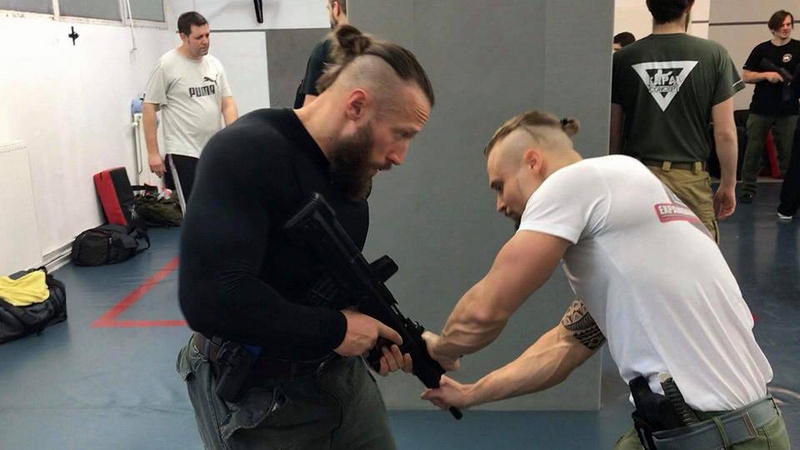 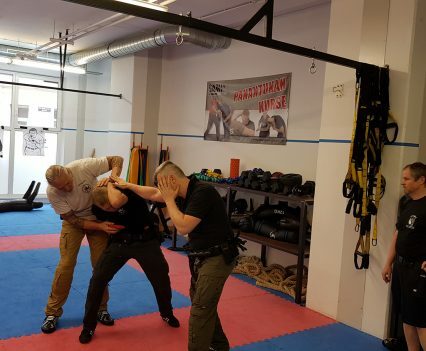 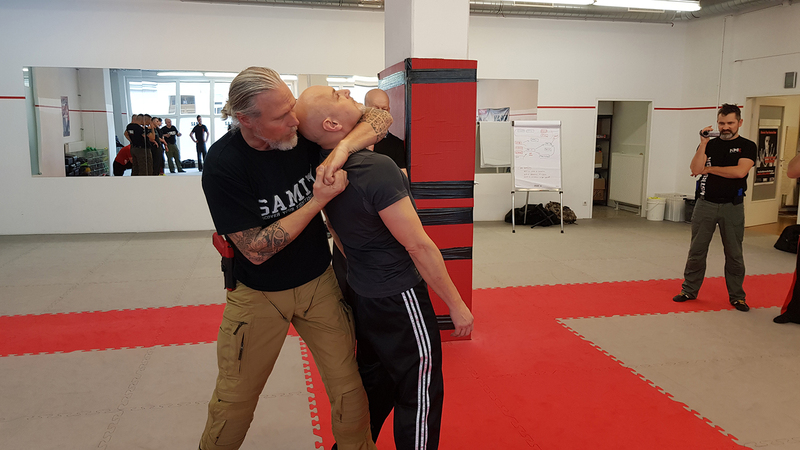 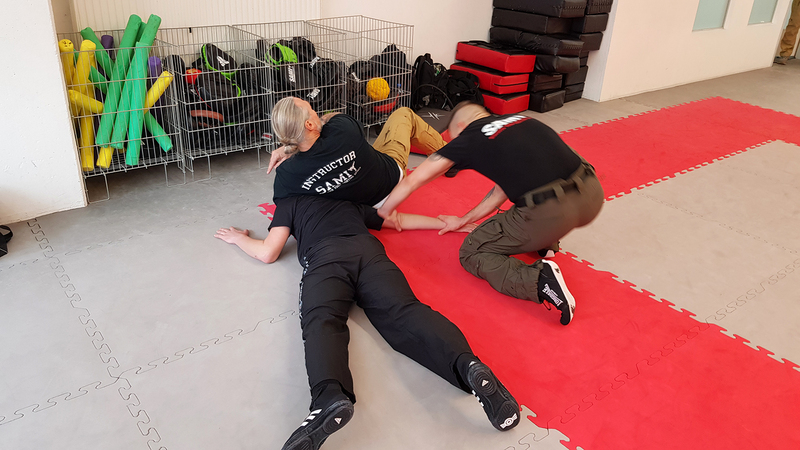 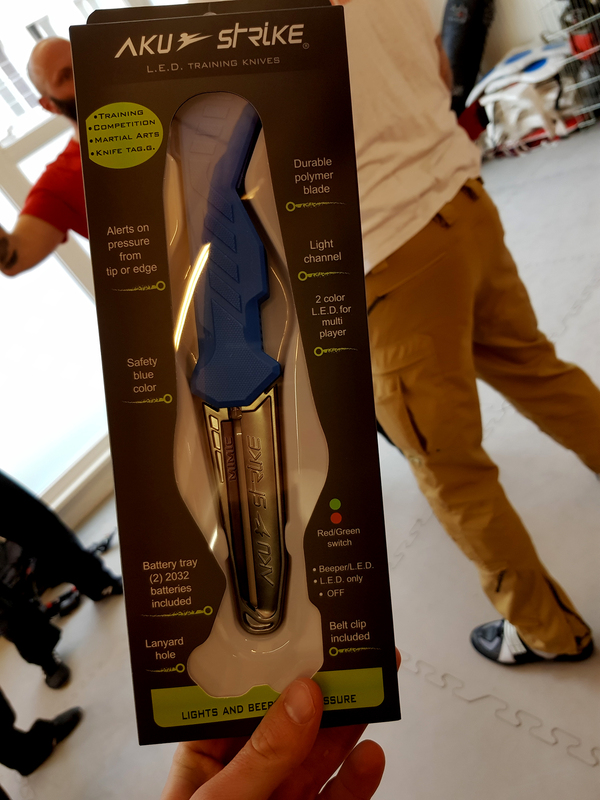 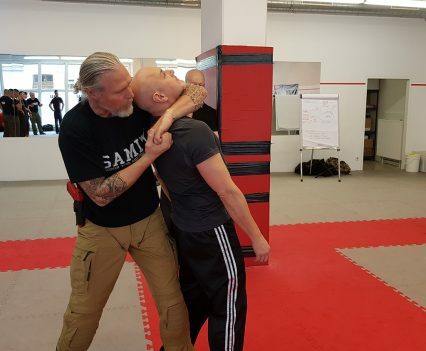 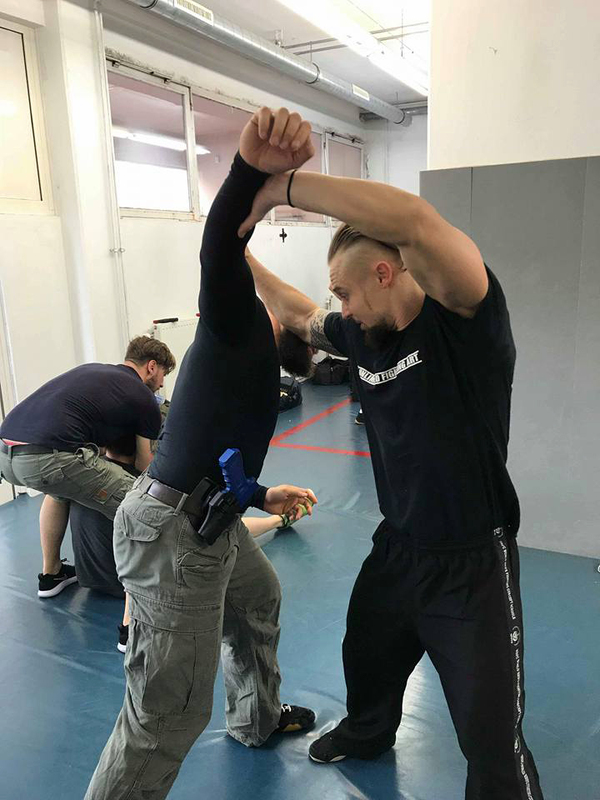 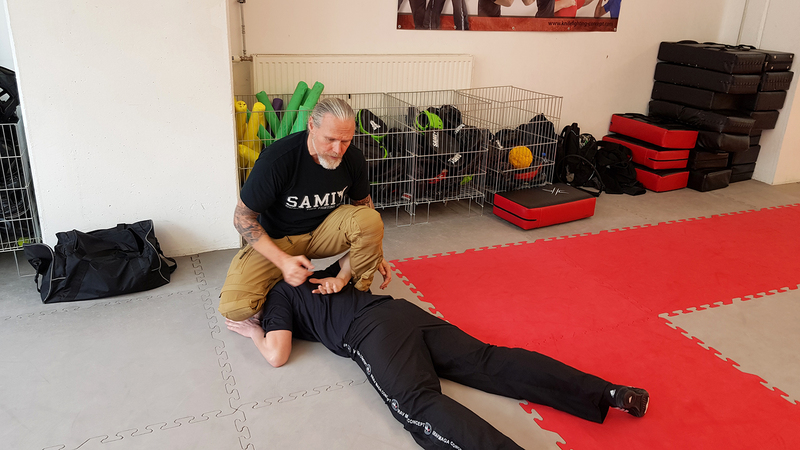 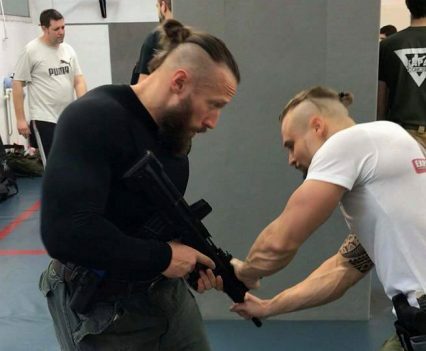 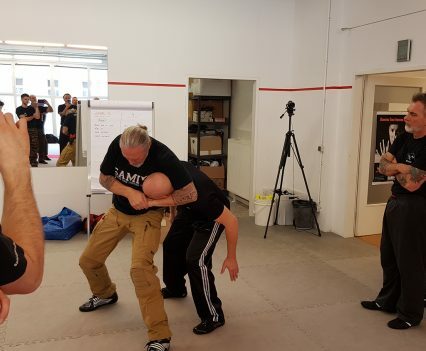 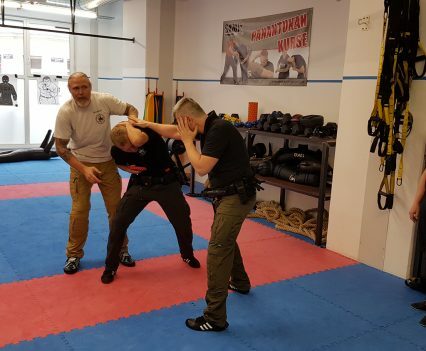 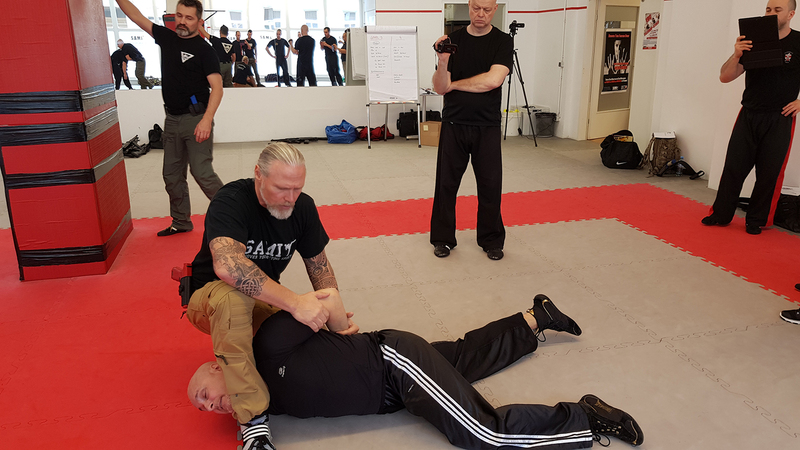 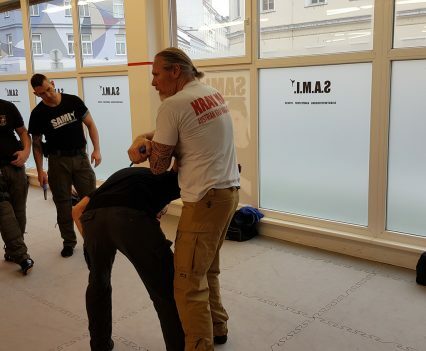 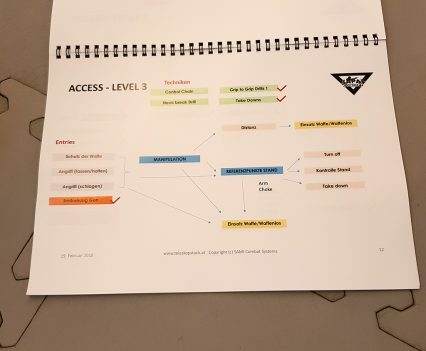 Peter and Anton train with special forces of police and military regularly, which has led to the SAMICS Kapap Concept being now used by the Austrian judiciary in correctional facilities all over the country. 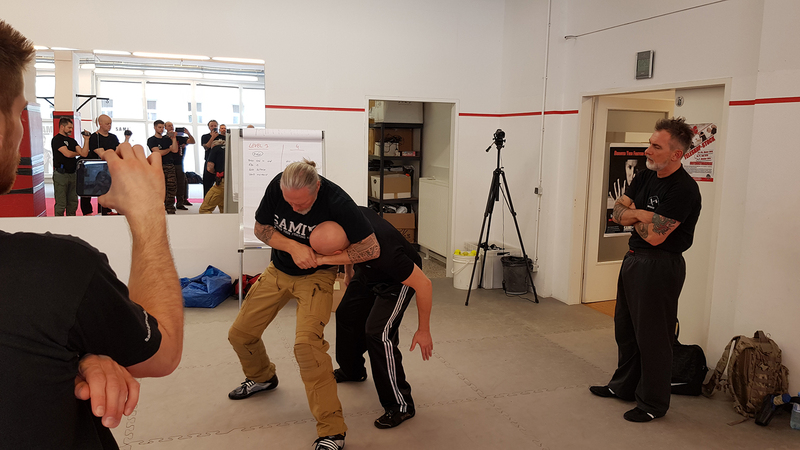 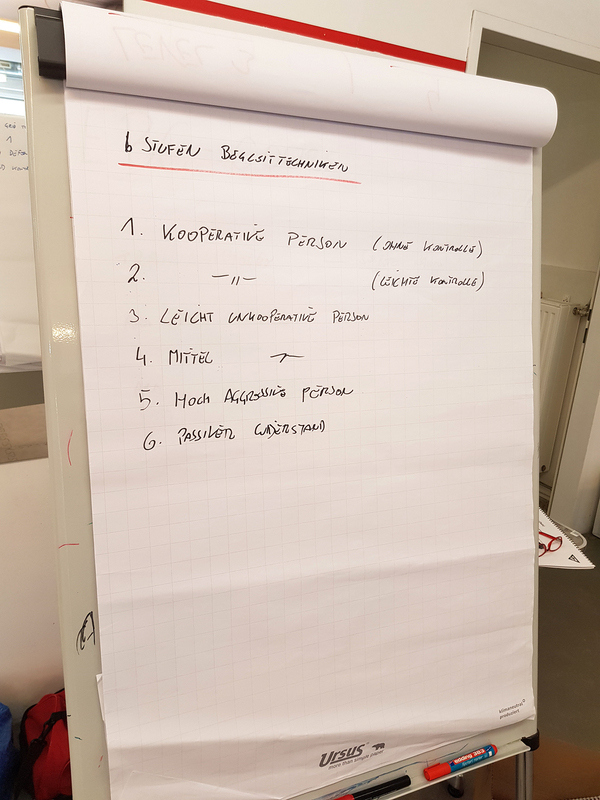 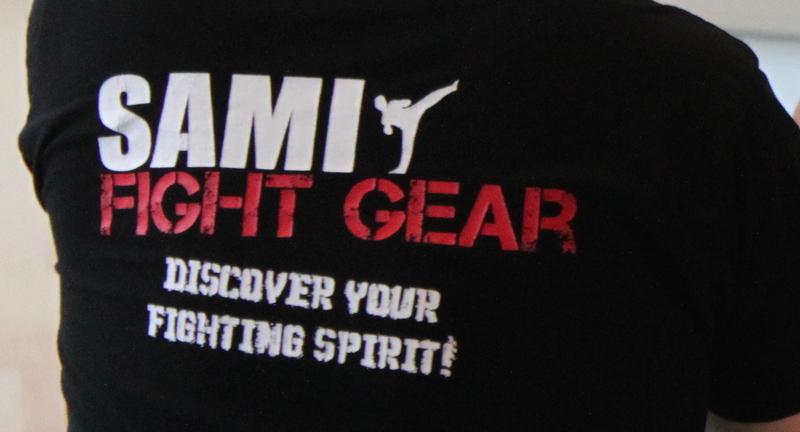 After four successful training days the students had the opportunity to take their level exams. 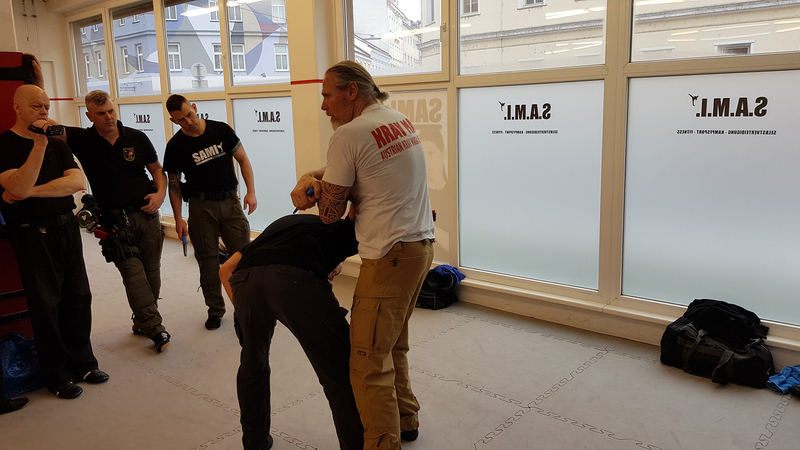 The next seminar will be held in September.